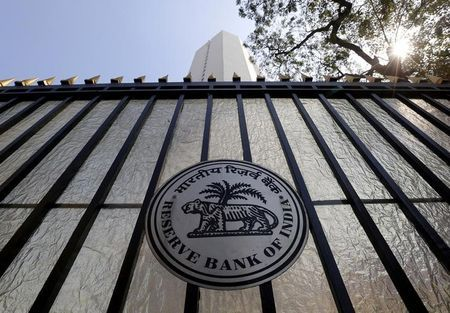 The Reserve Bank of India kept its repo rate at 6.25 percent for a third consecutive policy meeting on Thursday as it continues to guard against any potential flare-up in inflation and an uncertain global economic environment. The Reserve Bank of India kept repo rate unchanged and hiked reverse repo by 25 basis points to 6%. The bank announced its first bi-monthly monetary policy statement for 2017-18 today. The apex bank in the past three policy meets has surprised all with its decisions. In October, the monetary policy committee (MPC) unexpectedly cut rates and then it held them in December when markets were betting on an easing move. In February, the committee again surprised by holding rates and switching to a "neutral" stance from "accommodative" - a move that made bond yields spike. All decisions were taken by a unanimous 6-0 vote, adding to the surprise. In today's policy too, the bank maintained its "neutral" stance which it adopted on February 8, 2017. A neutral stance means the bank is neither willing to step up money supply in the economy nor it intends to cut the same to curb growth. An accommodative stance signals that the bank is willing to ease interest rates to raise money supply in the economy to ward of slowdown fears. Here's why the RBI took a neutral approach and maintained status quo in today's policy meet. Retail or consumer price inflation rose to 3.65 per cent in February against 3.1 per cent in January. Even though prices rose, they are well under the comfort zone of the RBI which "set a target of consumer price index or CPI inflation at 5 per cent by Q4 of 2016-17 and the medium-term target of 4 per cent within a band of plus or minus 2 per cent, while supporting growth." Headline or wholesale inflation also rose to 6.55 per cent in February compared with 5.25 per cent in the previous month but the bank likely decided on the policy stance, considering the CPI only. Gross domestic product (GDP) growth slowed to an annual 7 per cent in October-December from 7.4 per cent in the previous quarter. Analysts polled by Reuters had expected a 6.4 percent growth rate. India's growth was higher than China's 6.8 percent for the last three months of 2016. High economic growth despite the Modi government's cash ban has surprised economists around the world and eased RBI's worries on the growth front. Hence, it did not ideally cut repo rate to stimulate growth. In the February monetary policy, RBI governor Urjit Patel emphasised that that banks still have scope to cut lending rates. He reasoned that while the RBI had cut the repo rate cumulatively by 175 basis points since January 2015, banks' weighted average lending rate had come down by only about 80-95 basis points, at the most. It has been noted that banks have not been able to transmit the effect of RBI rate cut wholly partly due to their rising NPAs since the move will hit their margins which are already under pressure due to bad loans. As on September 30, 2016 gross NPAs of public sector banks rose to Rs 6,30,323 crore as against Rs 5,50,346 crore by June end. This represents an increase of Rs 79,977 crore on quarter on quarter basis. But last month Finance Minister Arun Jaitley said his ministry and the Reserve Bank of India have taken a major policy decision on dealing with non-performing assets (NPAs) of banks. The resolution being worked out with the RBI will put enough pressure on borrowers to settle dues, Jaitley added. The government on March 31, 2017 lowered the interest rate by 0.1 per cent on Public Provident Fund (PPF) and small savings deposits. The new rate would be effective from April 1. Since April last year, interest rates of all small saving schemes have been recalibrated on a quarterly basis. It's a move which is aimed to make interest rates market driven and linked to the returns of government securities. It will leave more money with the banks and add to their liquidity, thus reducing possibilities of a rate hike.